So, you’ve read book after book about getting out of debt. They all basically tell you the same thing, right? The first step is to create a budget. I disagree! Several years back, I managed to dig myself out of the $48,000 debt my ex husband left me with. By creating my own plan, I did it in two and a half years. Yes, things were tight, but I wanted to rid myself of the stress of carrying that burden around. My first step wasn’t creating a budget. My first step was finding out exactly what I really owed. Find out what you owe. By doing this, you can truly understand the need to tighten your belts. You have a real number in front of you, and you can make a more informed budget. Prior to actually seeing your debt, you might have looked at your budget and thought, “I’m not giving up that $30 I spend on take-out, each week.”. Now, after looking at what you owe, you may realize that that $30 a week, adds up to $120 a month and may be able to payoff one of your debts. Make sure you scour your credit reports. Just because it’s there, doesn’t mean it’s accurate. If you find an error, handle it. First, write to the credit bureaus. Be very specific. Tell them the date, amount and company, reporting negatively to the credit bureaus. Give them as much detail about why the claim is invalid. If you have specific dates of payment, include them. Send supporting documents. I also recommend sending any and all letters certified mail. The investment is well worth it. The process can take up to 6 months to reflect the corrections. Hence the fact that it’s better to jump on this right away. If there are multiple errors, I highly suggest submitting one per week until they have all been submitted. By sending them all at once, they will all falls into one case number. Often this results in being asked to resubmit your documents, and adding additional processing time. By separating them, each will have their own case number. Contact all of the collection agencies or creditors. Get the details on every debt. 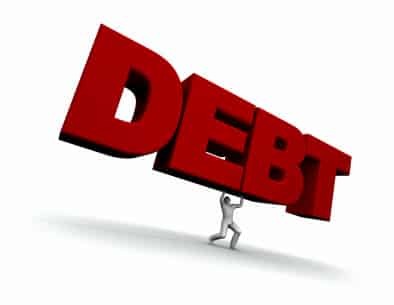 Find out the amount owed, who the original creditor was, the dates of the debt and most importantly, proof of the debt. These are all very important to know when you are trying to clean up your credit and get out of debt. You may realize that one of these creditors, bought debt that was already paid to the original creditor. You may also find that this wasn’t even a debt that belonged to you. It happens more often than you think. Now, for step three, put it all together. Keep a file folder, or binder to keep track of all of your paperwork. Keep a copy of your credit report up front, so you have easy access to it at all times. Keep a copy of all letters you have sent and make sure to date each of them with the date that they were sent. Keep a call log of any and all phone conversations, include the name of the person you spoke to, the date, the time and any pertinent information about the phone call. Once you’ve found out your true debt, you can start focusing on paying it down.